When it comes about building construction, there are many tasks to be carried by different professionals who are experts in the subject, from engineering works to painting. It is important that all of them have good communication and organization to achieve quality results. 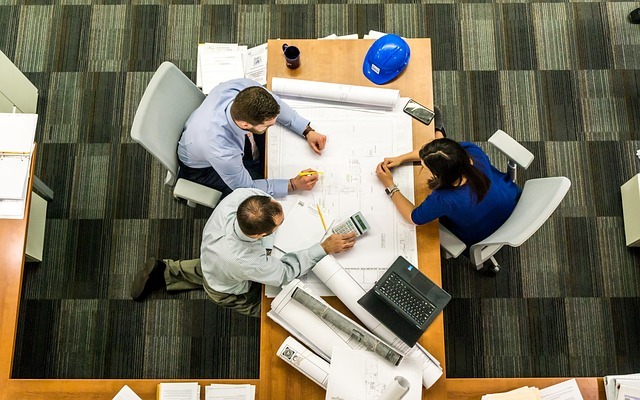 For this reason, it is very important the role of a construction manager or a contractor, who probably already has a team of professionals that work perfectly together. Before you start mulling over different construction company names, it is worth to think about how to choose the right construction professionals. Contractor: if you hire a general contractor, you barely have to worry about anything else. Check his license and make sure that all his subcontractors have insurance. Architect: sometimes they take over the hiring of a contractor. The most important thing here is that you get to know their style and former projects to see whether it matches with your projects or not. Builders: they must pay attention to your needs and details but also you have to give them some freedom. It would be good to give them a detailed briefing. Make sure they are experienced and registered builders. Ask about payments and whether they take over building materials shopping. Engineers: they advise and provide expert solutions for different tasks. You can hire specialized engineers like electrical or structural engineers. Electric contractors and electricians: experience with similar projects is key. Plumbing services: check whether they are certificated plumbers and if they are able to carry whole construction projects and not only fixing works. Compare different quotes and try to not be charged per hour but as a fixed payment. At Infoisinfo we always work hard to be able to offer you the most useful information possible so that you can easily find the best products and services for you or your company in Derby (Derbyshire). We know how important your construction projects are for you and that you want to count with the best professionals and construction materials. We can help with that. In fact, we have prepared a list of the best construction professionals in Derby (Derbyshire) for you to choose from. Get in touch thanks to the contact details provided such as phone numbers, websites, address and opening times. In addition, you can have a look at comments and valuations from other clients to get a better idea about all the professionals from the construction industry.